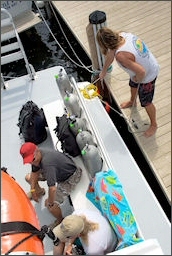 What do you want when you buy dive boat insurance? Why PADI-endorsed Dive Boat Insurance? Not all insurance policies offer the same coverage or service. Take comfort knowing that you have coverage backed by a team of experienced professionals you know and trust. For the past 34 years, the team of PADI and Vicencia & Buckley have worked together to support International Resort and Retailer Associations Members through the most challenging times.